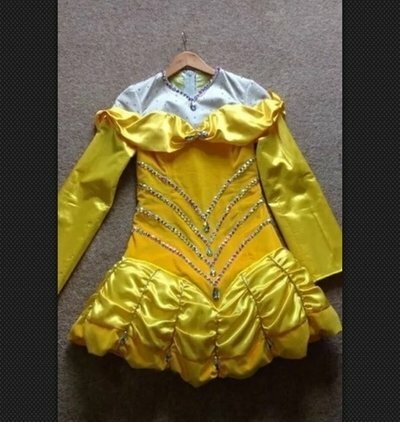 Stunning Disney Belle dress. REDUCED for SUPER QUICK SALE £375!!! Covered in £400 of genuine Swarovski crystals. £1400 new, less than 20 months old, but not worn for 12 months. Perfect condition. 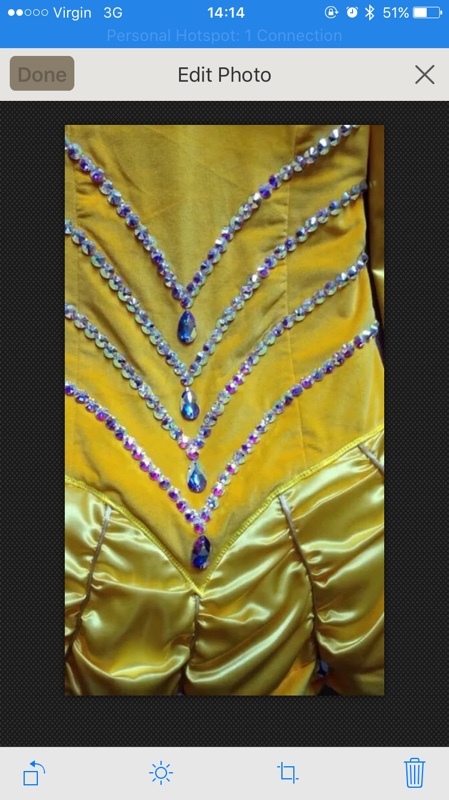 Bodice made of yellow velvet and sleeves and skirt of yellow satin. 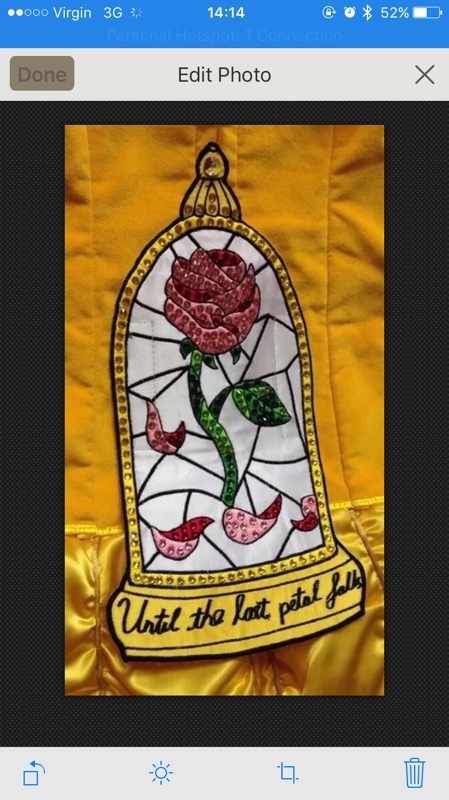 Has a beautiful cape in the design of a stained glass window saying “until the last petal falls”. Utterly unique design. Stunning workmanship. Worn by a petite 14-15 year old. Measurements take laying dress flat. 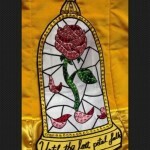 Asking Price: £375.00. Shipping costs are included for my own country, overseas shipping is extra. Sale is final.